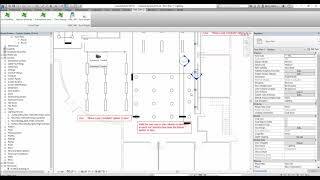 The tool is designed to create power circuits and connect fixtures with conduits instead of Autodesk® Revit® default 2D wire. 1. Select the desired elements. 2. Click the Automatic Conduit command with circuiting. 3. Write the needed offset for the conduits. 1. Th tool will work with imperial and metric templates 2. The user will be able to select the conduit type. 3. The tool will be able to add junction box over the fixture and supply a single vertical conduit to the single point connection as requested from many clients. The concept is good except it's not "real world". There is twice as much vertical conduit installed. Typically, the electrician will install a junction box over the fixture and supply a single vertical conduit to the single point connection most every light fixture has. If the program has this capability then it will match more e closely to the actual installation.